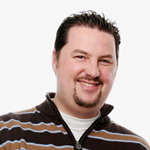 Robin Wauters is the Co-Founder and Editor-in-Chief at Tech.eu since October 2013. Robin is a seasoned European technology journalist and founding editor of Tech.eu, a new digital publication dedicated to covering the EU tech industry in depth. Robin was formerly the European Editor of The Next Web and before that a Senior Editor at TechCrunch (acquired by AOL in 2010) and Managing Editor of Virtualization.com. Robin started his career working as Internet Marketing Manager for IT company Hostbasket (acquired by Telenet) and later as Online Media Manager for Belgian ICT publisher Datanews / VNUnet (acquired by Roularta). Robin went on to co-found social media agency Talking Heads in 2009 (the company became part of Web development agency Netlash in 2010). Robin occasionally serves as a startup Advisory Board Member – more specifically, he is currently a minor Shareholder / Advisor to Belgian startups such as Checkthis (Frontback), Maily, Showpad, Argus Labs and ARTPLUS.